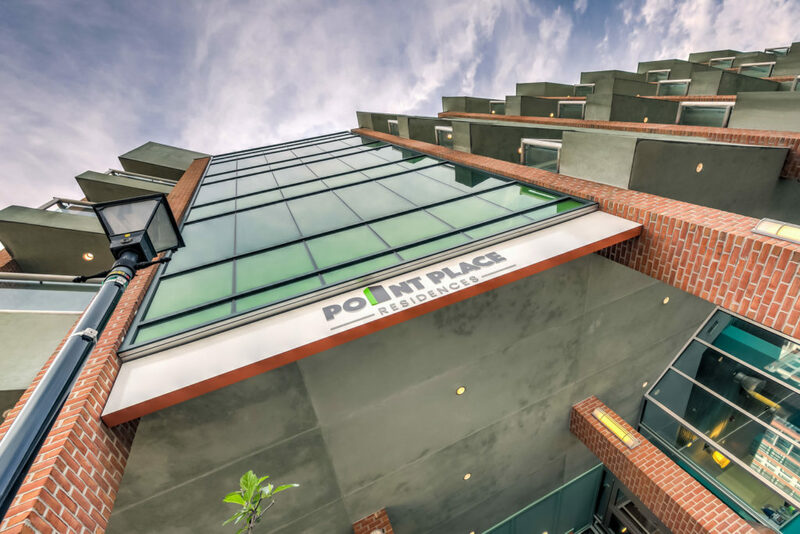 Located between Baltimore’s historic Fells Point and trendy Harbor East neighborhood, Point Place Residences offer modern living with restaurants, shopping, and entertainment just footsteps away. Prime Building Advantage is managing the marketing and leasing of these one-of-a-kind, boutique-style homes. With only 12 apartments in the building, residences start at $1,750 and range from 800-1,200 square feet. The boutique style make these residences very unique to the area. “The fact that Point Place residences are situated above an up-and-coming, trendy restaurant adds another element of modern sophistication to its uniqueness,” said Charlie Hattter, co-owner of Prime Building Advantage. L’Eau de Vie Organic Brasserie, a French-inspired plant-based restaurant, is located on the lower level of what was previously the Inn at the Black Olive building. Slated to open this year, chef and owner Elena Johnson says that seasonal, organic food will be prepared for breakfast, lunch, and dinner. L’Eau de Vie, meaning “water of life,” will offer indoor and outdoor seating along with a chef-inspired cocktail bar. The combination of restaurant and residences makes this location ideal for urbanites. The building is owned by local businessman, Jack Dwyer, and actor Woody Harrelson. “The spectacular location is what really drew us to this building. Surrounded by great restaurants and shops, but also near the water, makes this place ideal,” said Harrelson. “Working with Woody on this project has been great. It’s rewarding to see our ideas come to fruition,” stated Dwyer. Point Place offers modern living in a trendy atmosphere, with highly-desired shopping and restaurants in the Harbor East neighborhood. Point Place Residences offers immediate occupancy. For more information, visit pointplaceresidences.